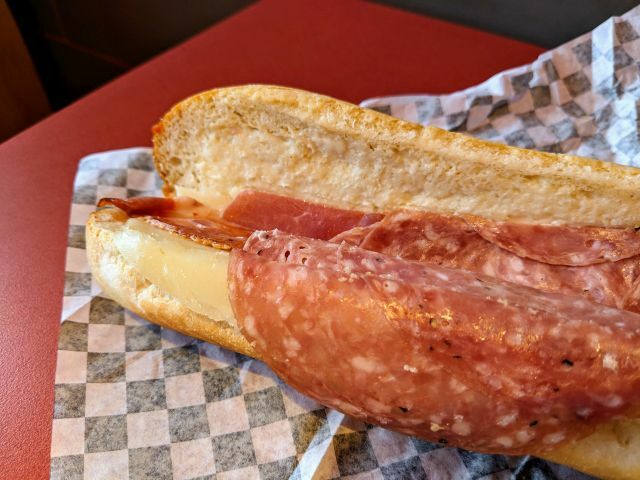 Jimmy John's The Frenchie sandwich features all-natural salami and capicola, provolone, and salted butter on a baguette. The pre-made throughout the day and wrapped so you can quickly grab-and-go. 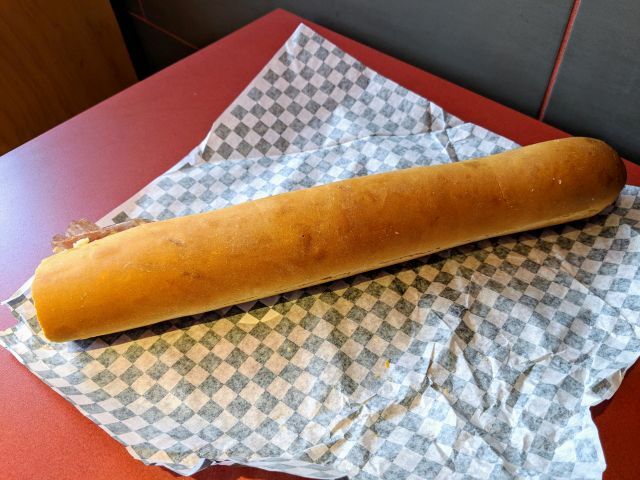 Apparently, the bread is made from the same dough as the chain's regular French bread except that it's stretched out before baking. As you can imagine, it doesn't feel like a baguette as the crumb of it is denser with small, fairly uniform bubbles and the crust isn't crispy at all. So yeah, it's their regular bread but skinnier and longer. Oddly, I didn't get much flavor from the meat and cheese. 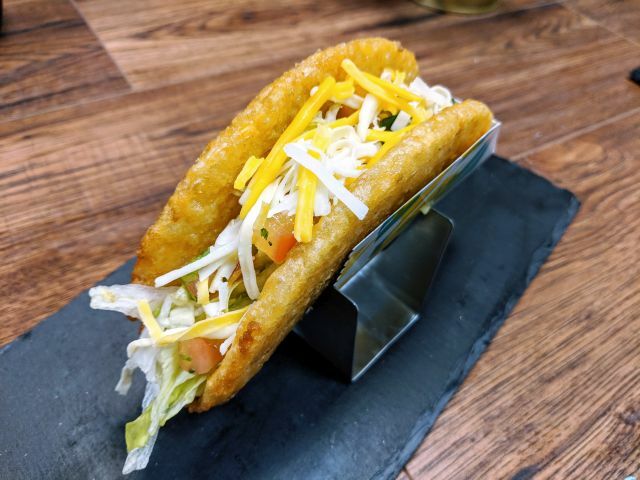 I'm not sure if the butter covered up the flavor (or there just wasn't enough meat and cheese) but each bite yielded a salty, slightly buttery, but plain feeling. Maybe the fat of the salami and the fat of the butter muted the flavor. I don't know. 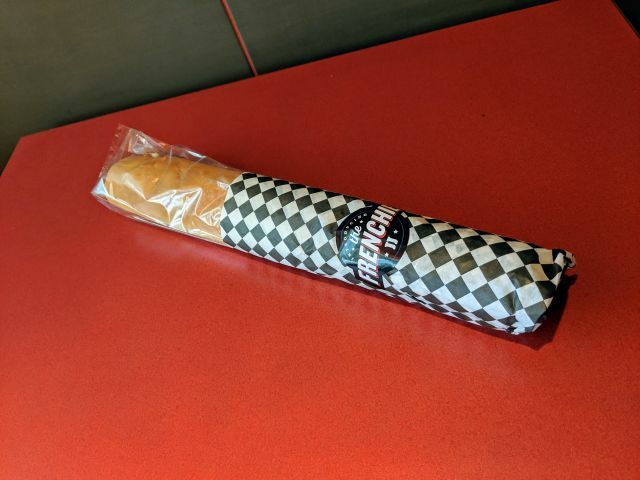 Overall, Jimmy John's The Frenchie was rather unremarkable as a sandwich can be. 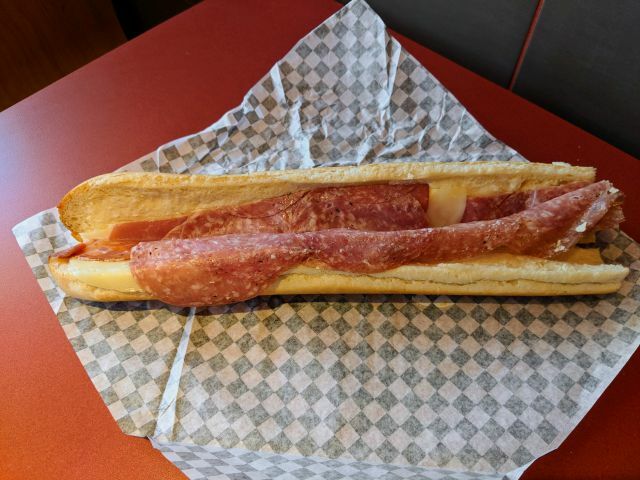 I've had ham and butter baguette sandwiches before and I've had Jimmy John's sandwiches before and this was the plainest of both. On the plus side, it's rather inexpensive, filling, and convenient. Given the ho-hum eating, I was left wondering if smoked ham and/or toasting would have made for a better or at least more French-feeling sandwich.